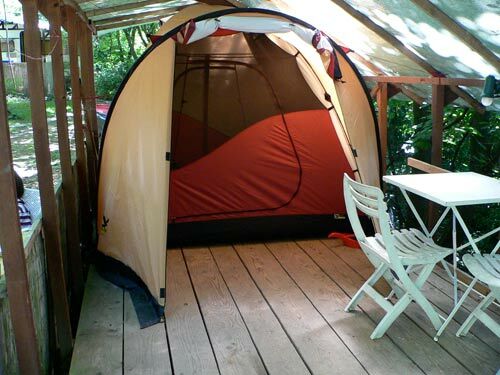 We offer rental caravans of different sizes and categories all year round and wooden huts and rental tents in summer. 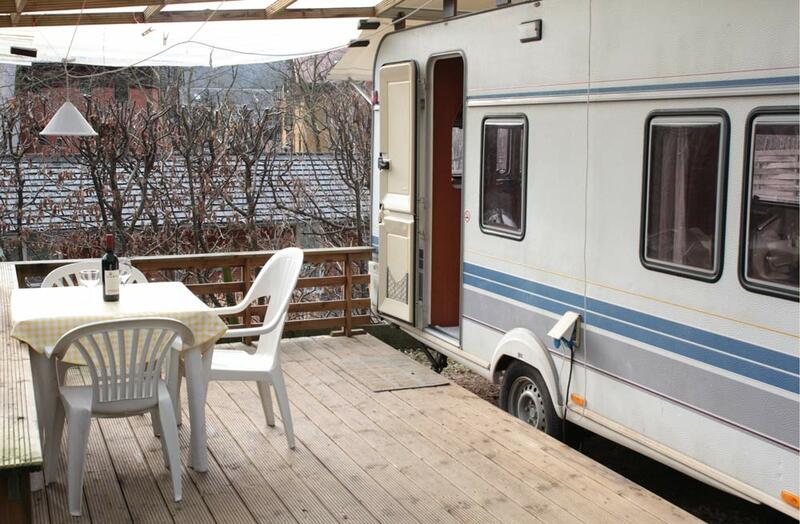 Caravans are suitable for single, double and family use (fits max. 6). All caravans are non-smokers. Nearly all floors are carpeted, thus footwear ought to be kept outside. Porches with seating and awning. Equipment: Single or double beds, bunk beds, sheets provided, lounges convertible into double beds; gas heating. Facilities: Showers, toilets, washing dishes and laundrette are in the main block. No running water in the caravans. Cleaning of caravans: For checkout caravans have to be left clean (You clean the kitchen: dishes, fridge, stove, garbage), otherwise we would have to ask an extra cleaning fee. Pets: only a few vans can be booked with dogs. Please bring you dog’s sleeping blanket. Some vans are kept for people allergic to animals. Prices: are comprised of charge for caravan, persons (see list of prices for adults and children), the garbage fee and gas/electric heating in the cold season. Bookings: If you are interested in one of our rentals please send us a request via the contact sheet on our internet site with the model you prefer, if you want a double bed or single beds, the dates you wish to come and to leave, if the dates are flexible, the number of persons and, if you bring children or teenagers, their age. We will answer you and let you know what is available and the prices. If you decide to book: do send us then a reservation using our reservation form on our internet site. We will send you the confirmation of your reservation with all necessary information. Your reconfirmation is required one week prior to your arrival, the best is to send us a short email. Check in is from 3 to 6 pm and check out untill 11 am. You pay on arrival and please bring a 50 Euro note for the deposit. Model 1: Large caravan fits families or 4-5 adults, 2 separate bedrooms (double bed/bunk beds), convertible middle lounge, kitchen. Price: 26,75 to 36,75 € / night + persons and garbage fee and heating (winter). 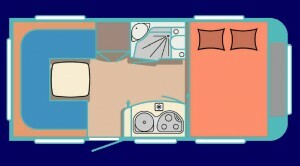 Model 2: Separate bedroom (2 single beds), kitchen (gas stove, microwave, fridge), lounge convertible into double bed. Price: 26,75 to 31,50 € / night + persons, garbage fee and heating (winter). 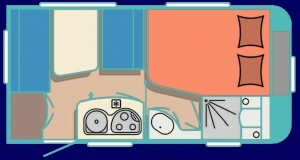 Model 3: Double bed behind sliding door, kitchen (gas stove, fridge), lounge convertible into bed. Price: 21 to 26,75 € / night + persons, garbage fee and heating (winter). Several smaller and older caravans available (fit one or two). Double bed, kitchen, small lounge. 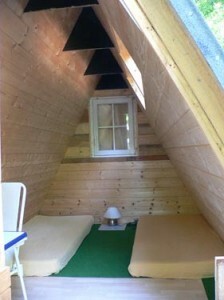 Price: 18,90 € / night + persons, garbage fee and heating (winter). Also available: wooden huts and roofed rental tents, an alternative for rainy days, for bikers and hikers: 12, 60 to 18,90 Euro plus the persons and garbage fee.